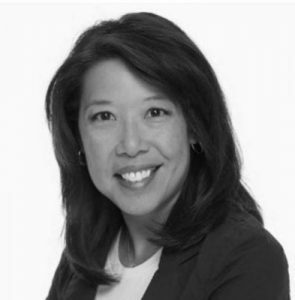 LOS ANGELES – Strategies 360 (S360) is thrilled to announce Victoria Lim is joining the firm’s growing practice in Los Angeles as Vice President of Communications. The move comes as S360 continues to build out its footprint in California, assembling an unmatched team and service capabilities throughout the state. Victoria comes to S360 as the former Assistant Vice Chancellor of Communications for Brandman University in Irvine, California, bringing a wealth of unique and pioneering experience to build out the firm’s communications practice in Los Angeles. Lim has led corporate communications at the highest levels, serving five years as Managing Editor of Public Relations and Editorial Content for Walt Disney World Public Relations. She is also an Emmy and AP honored journalist who set herself apart from the industry norm almost two decades ago as one of the first journalists to utilize the practice of multi-media story storytelling. Lim worked around the country for nearly two decades as a television reporter, serving as the senior investigative reporter for WFLA-TV (NBC) in Tampa, a reporter and anchor for Bright House Sports Network in Central Florida, and a business columnist for the Tampa Tribune. Victoria is joining Strategies 360 after the firm announced a major expansion of its team in Los Angeles earlier this year. After more than 7-months of exciting and steady growth, Lim will be leading California communications efforts in the Los Angeles office, which includes Senior Vice President Larry Chung and Senior Director Nella McOsker. Her hiring comes shortly after another big move S360 made in California last week, where the firm announced former TechNet VP Andrea Deveau is joining the team to lead S360’s office in Sacramento, CA. With offices in 12 Western states and Washington, D.C., Strategies 360 is the leading public affairs, communications, research, and marketing firm in the west. With experts drawn from the worlds of government, politics, the news media, quantitative and qualitative research, advertising, marketing and creative design, S360 crafts and executes the strategies that help clients succeed.